The Maori All Blacks overcame a sin-binned player in both the first and the second half to beat Canada 32-19 at Oxford University on Friday. In a lackluster but testy match, the Maori scored two tries to one plus 22 points from the boot of flyhalf Willie Ripia. The match closed the British tours of both teams. The Maori began with a loss, their first in five years, to English club Leicester then beat an English Championship XV. Canada rebounded from a 42-12 loss to Samoa by dismantling Russia 35-3. 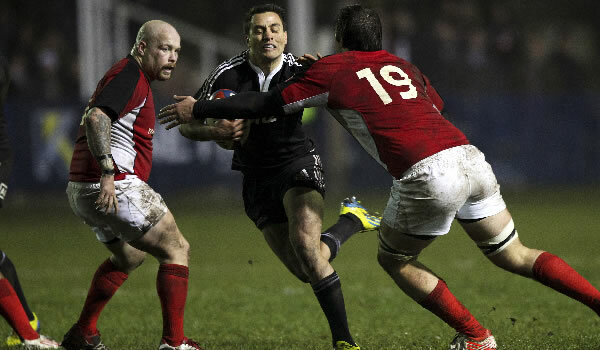 But the Canadians couldn’t stop their fourth straight loss to the Maori. The Maori practically began the match with 14, with lock Romana Graham yellow-carded for a high tackle. They still led 9-0 within 15 minutes from Ripia penalties. The referee had to be replaced after hurting his leg, and by halftime winger Andre Taylor dotted down and the Maori led 19-9. Another high tackle cost midfielder Tim Bateman time in the sin-bin and again Canada failed to capitalise. Ripia extended the Maori lead to 25-9 before Canada finally crossed through replacement prop Ray Barkwill to close within six. But in the last minute the Maori gave center Charlie Ngatai an overlap for a converted try.